CC Imaging is the e6 processing lab of choice for pro photographers. We use the Refrema dip and dunk processor, no rollers, no roller scratches and always Fujifilm chemistry. 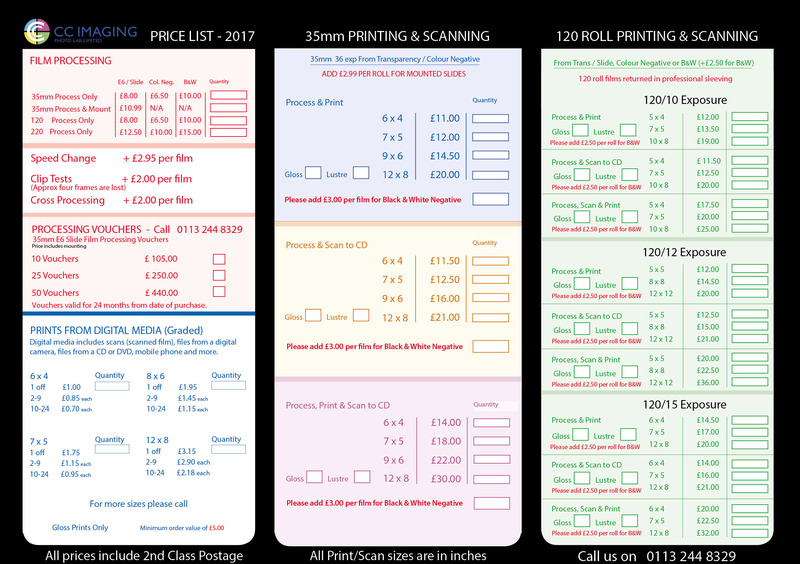 We process with the high standards you have come to expect and the price is just £10.99 per roll for process, mount & return postage. Fear not, your film can still be processed today and for the foreseeable future. Our process is monitored by the industry standard Oasis software to guarantee chemistry is always fresh, optimised and ready for your film. Q: Is my process paid film / voucher still valid? A: The process paid element of all Fujifilm branded films & vouchers expired on November 1st 2014. Q: So I now need to pay for processing, even with a process paid film / voucher? A: Yes. We charge £10.99 per roll of E6 film. This includes processing, mounting & return postage. Q: Why must I pay a second time? A: Due to the process paid element of Fujifilm branded films expiring in 2014, the cost today is £10.99 for processing, mounting and return postage. Q: But I have already paid for my film that includes processing! A: Process payment included with branded Fujifilm rolls has expired. We cannot assist you with this and would recommend that you contact Fujifilm directly. What does it mean for my film? Since November 2014, all Fujifilm branded vouchers and mailers are no longer be valid. Sensia film (process paid or otherwise) will be treated as a standard E6 film and thus chargeable. If you would like your film to be processed, mounted and returned to you for just £10.99 please click here. The following example mailers are no longer valid and should be discarded as they may feature an incorrect address. Other style Fujifilm Processing Laboratory branded mailers not found below may still be in circulation, but these too are no longer valid. Download, print, fill in and include with your film. Here are the standard price list and order forms you will be accustomed to. 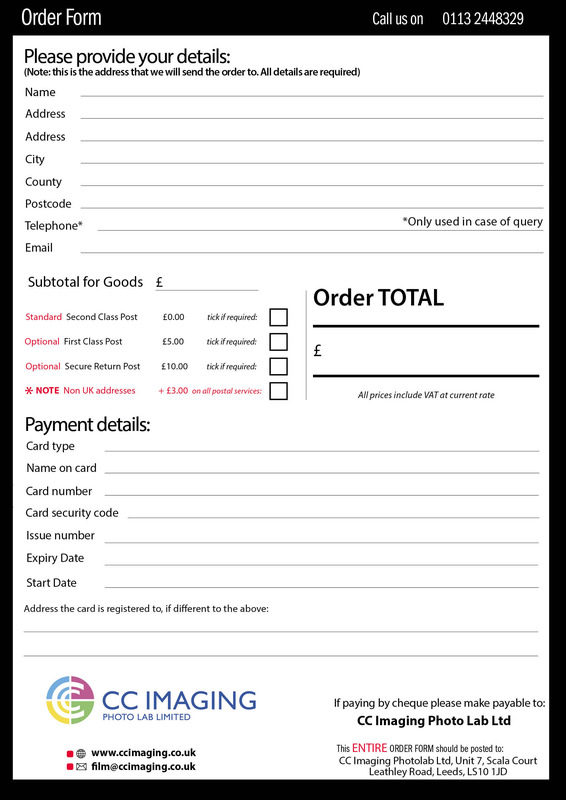 Remember to include completed forms with your order together with a cheque made out to ‘CC Imaging Photo Lab Ltd’ for the total amount. 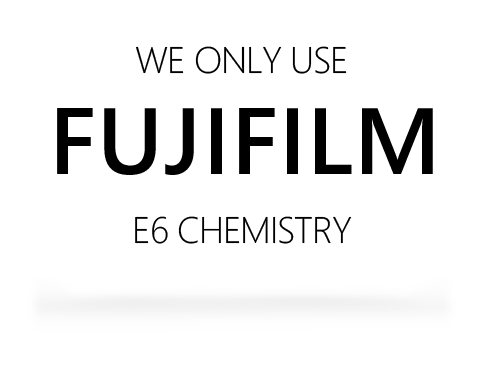 Please use the links below to print off our price list and order forms from PDF files. The files will open in a new window and you will need to have Adobe Acrobat Reader installed to see them correctly. For those of you who do not yet have Acrobat Reader installed, simply click on one of the images below for a large printable version. Once the image is open, you can simply print it from your browser window by selecting File then Print from the top menu or by keyboard shortcut (press Control & P on PC or Command & P on MAC) to open your print dialogue box. It may be necessary to change the paper layout from Portrait to Landscape or vice versa depending on which form you are printing. Alternatively, from Windows XP you can print each form via the built in Windows Picture and Fax Viewer application or from Windows 7 use Windows Photo Viewer. Both of these applications will print the full area of each order form on a single side of A4 paper. For your convenience, CC Imaging offer processing vouchers in quantities of 10, 25 & 50. You can make a purchase on our Analogue Shop via PayPal. When you have added the services/products you require to your basket, you will be asked to pay with your credit/debit card via the PayPal screen or alternatively using your PayPal account order when checking out. Please fill out one voucher for every film you send to us, as in the example below.